Back in July this year, ReCooper8 bounded off to meet Greytown based artist Nicki Stewart to talk about her exhibition, Remember to Remember. 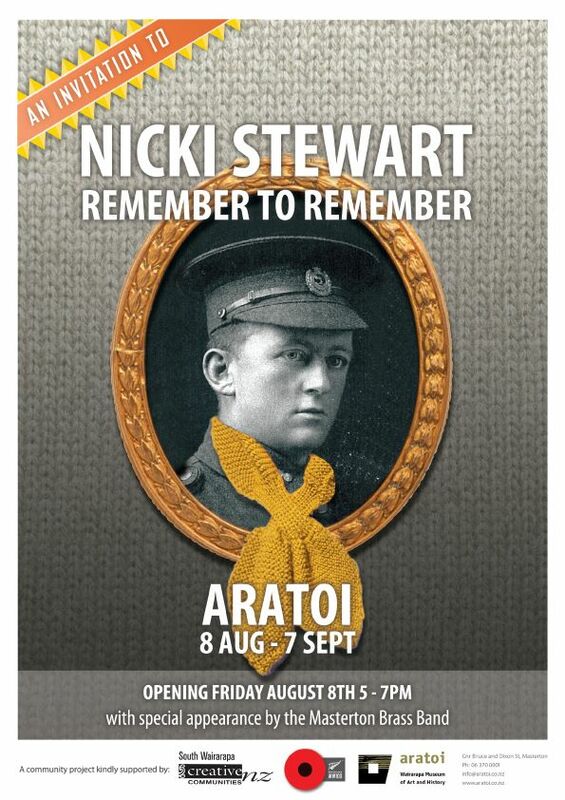 The Anzac Hall in Featherston is now hosting Nicki’s exhibition till 7th December, so get on down there! If you would like to hear from Nicki about how this fascinating and moving exhibition was conceived and put together, click on the link below and have a listen!